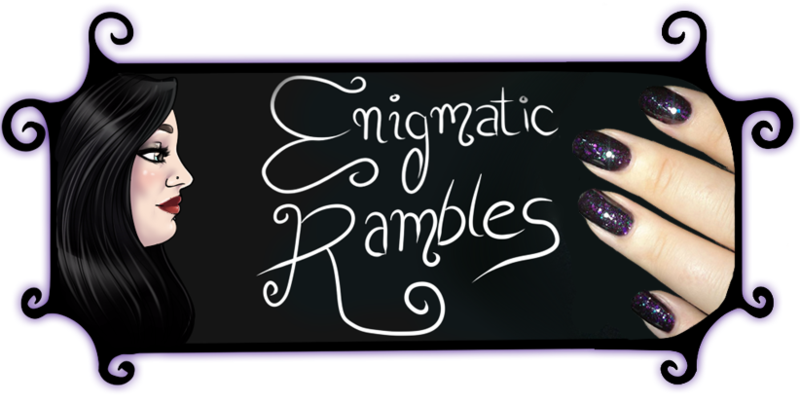 Summer has almost left the northern hemisphere, and I seem to have finished 25 products this past month! 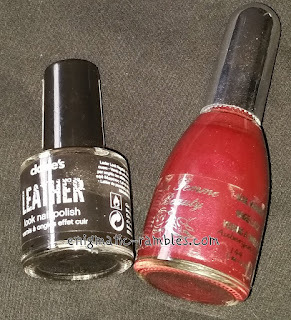 Claire's - Leather Look - This was almost all used up, I liked the finish it wasn't gritty at all [swatch]. La Femme - Aubergine - The colour looks quite nice but it has a shimmer running through it rather than just being a creme finish which was a shame as I thought it was a cream [swatch]. 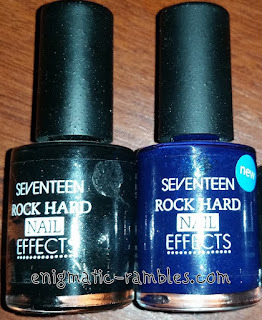 Seventeen Rock Hard Nail Effects - This dried up and while I could have added thinner to it I just didn't like the gritty finish texture [black swatch] [blue swatch]. 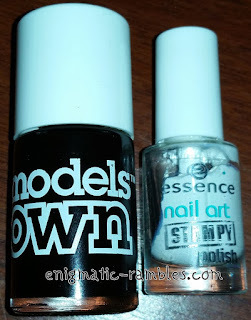 Models Own - Black / Red - A deep blackened red shade, I liked the colour but the brush isn't ideal on Models Own polishes. I would repurchase but I already have very similar colours [swatch]. Essence - Stampy White - This worked fine but it dried up really quickly, I much prefer MoYou Special Nail Polish White for stamping with. 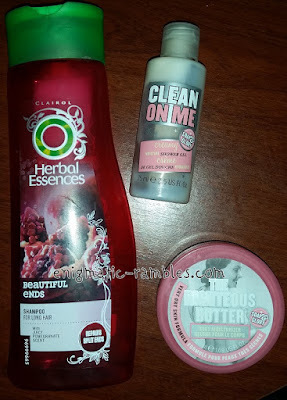 Herbal Essences - Beautiful Ends - Shampoo - Smelt very fruity and was nice enough to use. 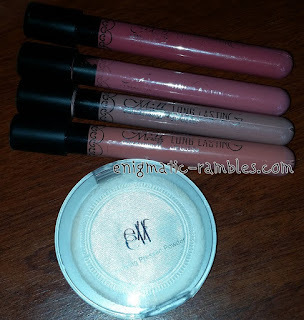 Potentially something I would repurchase. Soap and Glory - Clean On Me - Shower Gel - Classic Soap and Glory scent, would repurchase this. Soap and Glory - Righteous Butter - Again classic Soap and Glory scent. I like how this is very thick and moisturising yet sinks in and doesn't leave a slimy residue. The scent also lingers which is nice. I would repurchase this. ELF - Pressed Powder - Apricot Beige - Far to dark for my skin tone which is why I am getting rid of it. 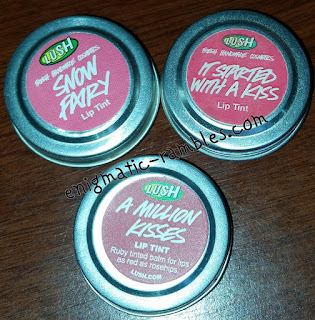 Lush - Lip Tints - These were nice colours I just found them difficult to apply, they are quite pigmented and so you need a lip brush to use them. If they came in a lipstick bullet format then they would be more usable [Snow Fairy, It Started With A Kiss, A Million Kisses]. 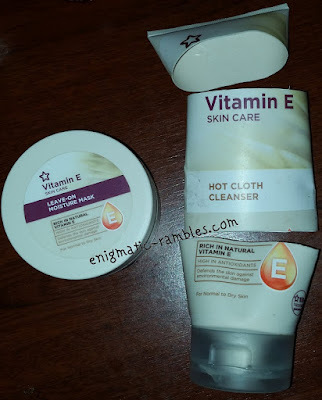 Superdrug - Vitamin E - Leave On Moisture Mask - This is very silicone like in texture, jelly like in the pot. It was a standard moisturiser which left a tacky layer on the skin. 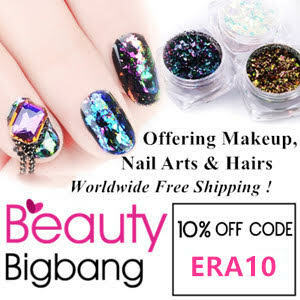 While I used it up I won't be repurchasing. 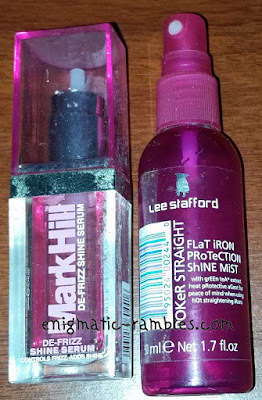 Mark Hill - De-Frizz Shine Serum - I didn't really like this, there is a fine line between too little and too much, and then I lost the cap and wasn't bothered enough to replace it. So not a repurchase. Lee Stafford - Poker Straight Heat Protector - This has that over powering scent, took me so long to use the small bottle because I very rarely heat style my hair. I don't think I will repurchase it although the scent is slightly nostalgic. L'Occataine Perfume - This was floral again and not something I would have chosen for myself. Glad to have used up the last of my floral sample set from Christmas. 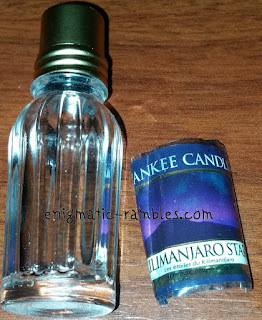 Yankee Candle - Kilimanjaro Star Votive - I found this had quite a scent throw to it, the scent was quite a masculine almost a aftershave scent. 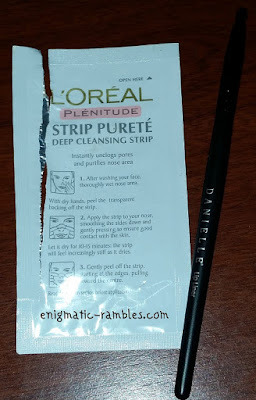 L'Oréal - Pore Strip - I was cleaning out my bathroom cupboard and found this, very much a throwback product. I wouldn't repurchase this as I have a mask that does the same job but it fits much better in to the contours of the nose. Danielle - Lip Liner - This brush was very splayed and too large for a lip brush and so time to get it out of my collection.